Threesixteen produces fresh and original photographic prints with a contemporary feel. Threesixteen supports our activities through the production of engaging films, documentaries, e-books and presentations. Threesixteen promotes the Christian message through photography, film, multi-media Bible studies and other forms of creative communication. Threesixteen’s unique projects challenge people to think again about the Gospel message – that Jesus loves them no matter who they are or what they have done. Threesixteen are different because our work reflects the excitement, adventure and unpredictability of listening to God and following Jesus. Threesixteen supports its activities through the production of bible studies and engaging films, documentaries, e-books and presentations. Threesixteen’s past, present and future activities can be seen in the project pages. Please browse the website to find out more about Threesixteen. Threesixteen needs your prayers. Please pray for Threesixteen, its projects and the people who are challenged and encouraged by these activities. From 2003–2018 Threesixteen supported, photographed and filmed Counties evangelist Clive Cornish during his unique walks, runs and climbs with the cross. A selection of images from these amazing adventures will be exhibited in the iconic Norwegian Church Art Gallery in Cardiff Bay from 3rd-16th June 2019. The exhibition entitled Forty Days & Forty Nights will be designed to take viewers on a challenging and uplifting journey. 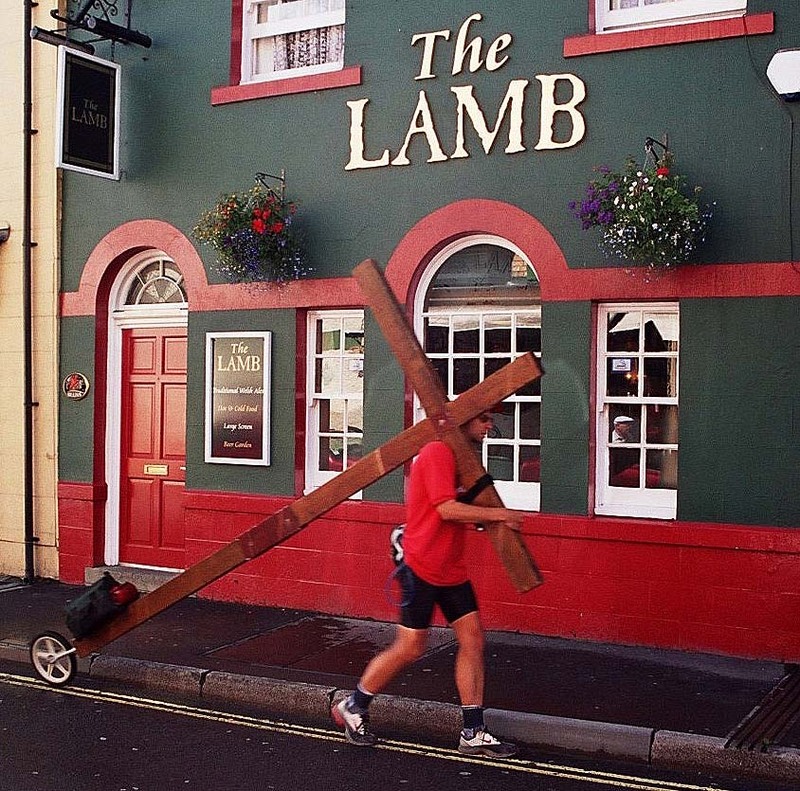 They said it was impossible grew out of a project called Pray Wales which included a series of walks, runs and climbs with a large (12ft x 6ft) and heavy (50lb) wooden cross. A free e-book and series of four multimedia Bible studies based upon these incredible journeys are now available for download.